Click for a PDF of the Event Flyer to Post at Flight Schools, FBOs, Etc. This forum looks at the factors that affect angle of attack, stall speed, maneuverability, and aircraft performance. Knowledge of these factors will aid every pilot in preventing what often is a fatal accident. In this seminar doing more than “Going Perfectly Straight” with your GPS will be discussed. For the VFR pilot using a handheld GPS, a variety of ways to get greater utility beyond “going direct” will be discussed, as well as addressing some of the dangerous traps that can lead to disaster. For the IFR pilot ways of dealing with the many curves that ATC can throw at a pilot in a quick and efficient manner will be discussed. Suggestions for using an IFR certified GPS to enter and fly holds effortlessly, along with a look at some of the traps waiting to catch the unprepared pilot while flying approaches will be explored. Whether you are a VFR or IFR pilot using GPS navigation, this seminar has something for you. The FAA has identified Loss of Control In-flight (LOC-I) as the dominant accident category over the last decade. The phases of flight where LOC-I occurred most frequently included Maneuvering, Approach, En Route, and Initial Climb. Rich uses four representative accidents to discuss common human factors associated with LOC-I, including risk management, decision-making, situational awareness, and stick and rudder skills. Human factors are divided into Tactical Errors—those directly attributable to a pilot’s own behavior—and Operational Errors—those traced back to instructional errors or omissions committed during flight training. Kay Greenfield will moderate this forum that will explore the many benefits of the iPad in the cockpit, how to perform a thorough pre-flight iPad checklist, popular aviation apps, and how to obtain “all available information” necessary for making an informed go/no-go decision, as well as in-flight updates. Representatives from the leading producers of these apps will be present to answer questions. In this seminar the many demands of flying as a single pilot under instrument flight rules will be addressed. Drawing on his wealth of experience, Doug will offer numerous tips on how to manage the many risks and challenges of flying Single Pilot IFR. Learn tips about preflight planning, staying ahead of the airplane, effective communication, briefing the approach, and many more… leading to you becoming a safe and confident pilot not only in the IFR world, but in the VFR environment as well. 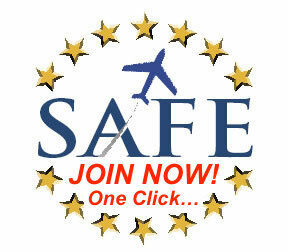 This forum is an interactive discussion of basic flying skills that may have decayed in an automated cockpit. Emphasis is placed on piloting skills, with tips observed from flying with a wide variety of pilots of varying skill and experience levels. Some practical points that may keep you from becoming a statistic will be offered!! It is said that when “flying” a tailwheel airplane you are not done flying until the engine is shut down and the tiedown ropes are attached, and we will attest to that. Some of the most important lessons to be learned in a taildragger are those lessons on the ground, especially when the wind is blowing. Learn from two of the best in the business of tailwheel instruction. Even if you fly an airplane with the little wheel in front, there is something to be learned in this seminar. 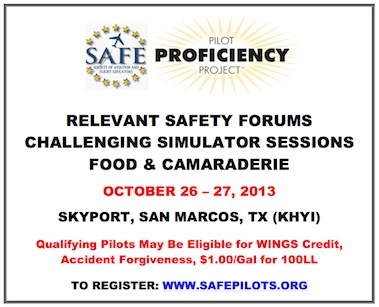 Click for a PDF of this Flyer to Post at Flight Schools, FBOs, Etc.